This 10-mile round-trip run follows San Vicente Blvd and gives you the option of running on the flat grass space in the middle of the blvd or on the pavement along the road. 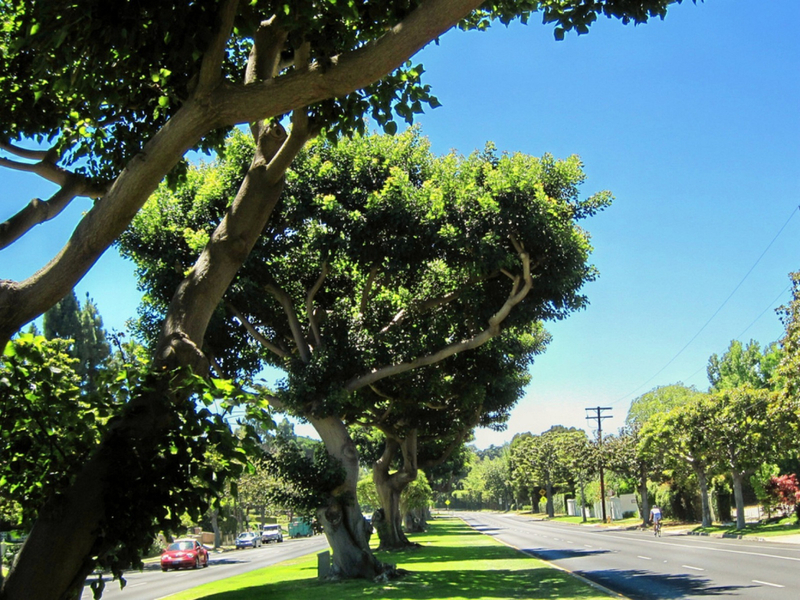 Although, the boulevard is a busy street, this is a nice, scenic route between Santa Monica and the Palisades, and eventually travels between Brentwood and the Brentwood Country Club. For the full route, begin at the Annenberg Community Beach House and go to the Los Angeles National Veterans Park and back. This is a great run to do when the beach is crowded or when you're running with a larger group, because the path is big enough to bring along a group of friends. There is a slight rise along the route that makes for a gradual uphill going towards the Veterans Park, and a comfortable downhill on the way back. Enjoy this run and feel free to bring along your pup. Runners who enjoy a lively path with lots to see will enjoy the setting. It's not so crowded that you'll have to slow down often but there's a lot to see. It's also long enough to give you a hearty workout. This route starts at the Annenberg Community House at 415 Pacific Coast Hwy, Santa Monica, CA 90402. There are no fees to use the path.